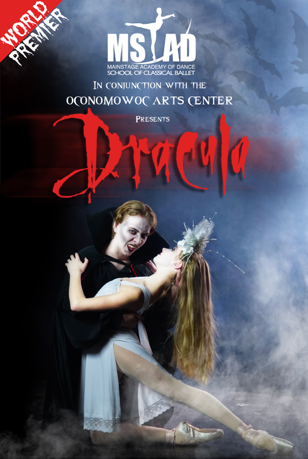 The MainStage Academy of Dance in Dousman has partnered with the Oconomowoc Arts Center to put on an elaborate ballet production of Dracula this Halloween season. 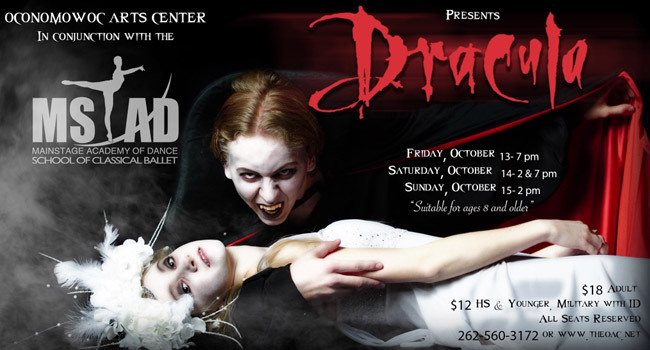 Dracula will feature music from today’s popular artists, and stars former MainStage dancers Samuel Booth and Jordan Curtin, both now professional ballet dancers. Dracula is family-friendly and appropriate for ages 8 and up.